Through prevention, for example with balanced diet, physical and mental activity, the harmony of each human can be supported. Hygieia or Hygeia ( gr.Ὑγίεια or Ὑγεία – ” Health” ) in Greek mythology, one of the daughters of Asclepius. Her sisters have been Panakeia ( All- Cure) and Iaso (Remedy). She is a goddess of health through proper lifestyle and diet – this is the promising way to health that Hygeia has. 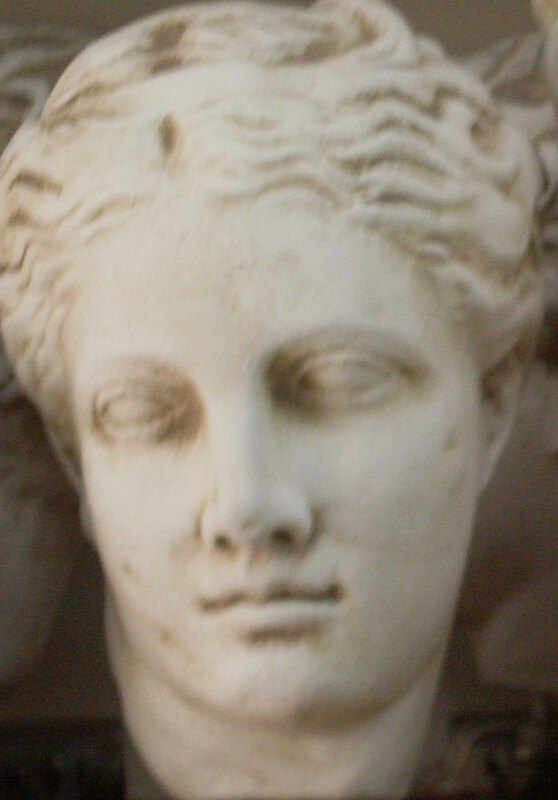 Asklepios (Ἀσκληπιός) is in the greek mythology the god of the art of medicine. 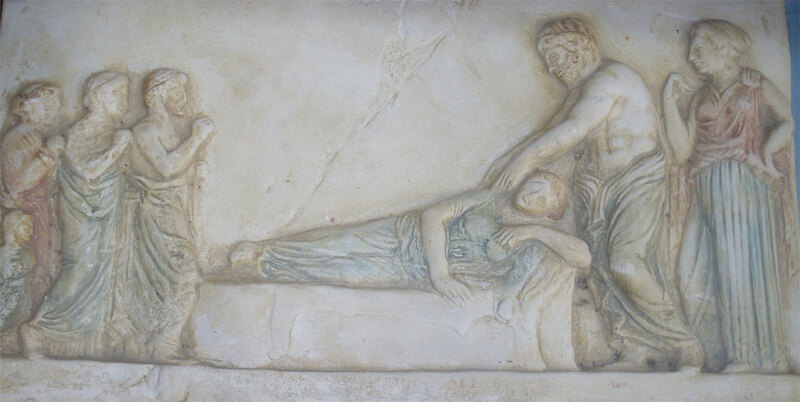 Asclepions have been healing sanctuaries, were established throughout Greece and dedicated to the god of medicine. 1 The first step for admission into the Asclepions was Katharsis (cleaning, purification). This meant cleaning the inside of the body through diets and the outside of the body for example through baths. 2 The second step was to to put the person into a positive and receptive state of mind. This could be achieved through making offerings (coins, silver, sculptures) or with suggestive prayers. 3 As a third step, the person entered the Abaton or dream incubation chamber for one or more nights. 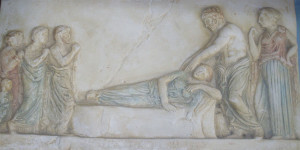 There he would get a visit from the physisian himself and information about how to get the cure for his illness or he would receive a healing dream from Asclepius. From the ancient Greek Asclepions comes the concept of the healing retreat or sanctuary, the sanitarium where people go to take the Nature Cure. Today, modern scientists praise and emphasize Hippocrates’ establishment of medicine as a rational science and his freeing of it from the shackles of magic and the supernatural. 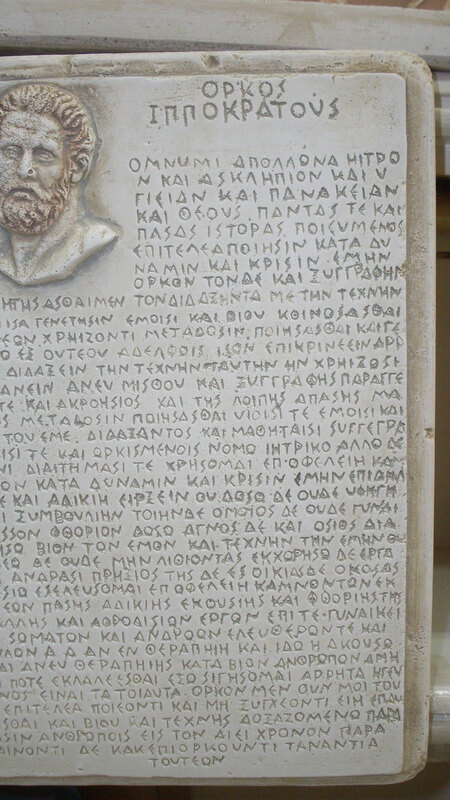 Hippocrates The Hippocratic Oath (C5th to C4th B.C) Ιπποκράτης was pragmatic, analyzing the currect situation and using the common sense to solve the situation. He believed in the most appropriate decision for each case. When the circumstances were appropriate he was in favor of heroic intervention. In gerneral he was more Hygeian in his concept. His first experience, he gained with the priests at the Asklepion of Kos. 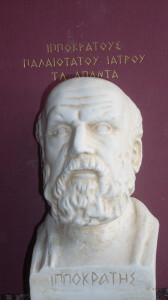 Hippocrates was the soul of the preventive medicine and the asepsis (sterility during surgery). Through preparation and rational behavior, diseases can be avoided. He also treated the whole person (holistic medicine). The exact medical history (self-, social-, family history, everyday life, preferences) played a role in the diagnosis and treatment decisions. The person itself should be supported by the diet to get the lifestyle and the forces to recover from the disease. 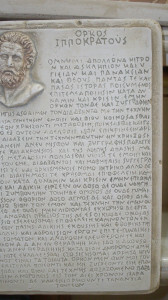 Platon (Πλάτων) and Aristoteles (Αριστοτέλης) and other philosophers pointed out the importance of maintanance of health and physical training. Also, the “Corpus Hippocraticum”, and literature about the history of medicine has been taken as sources for the historical part and the pictures. The images were copied from a Greek original of the 5th century.